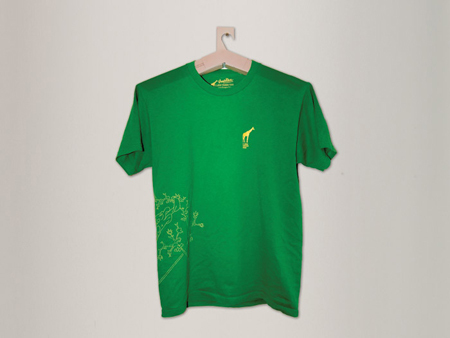 From now on, you will never run out of hanger for your clothes, coats, shirts and more. 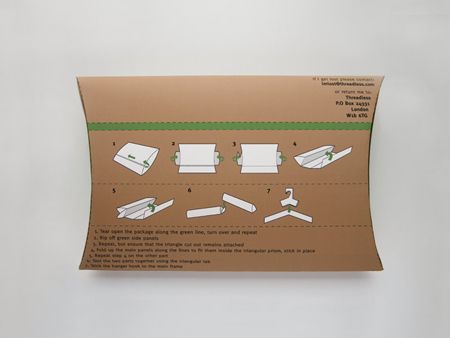 Designer Steve Haslip who won the D&D Student Awards in 2007 has designed a shirt packaging that will let you re-use the said packaging as a hanger. 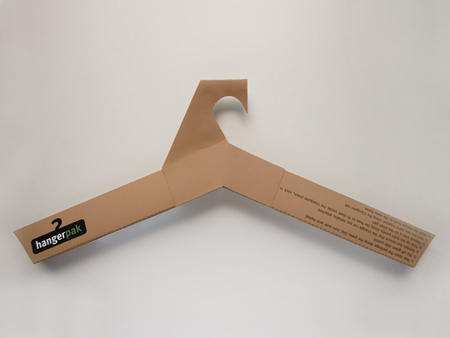 This eco-friendly design will first, minimized waste, as you do not have to throw your shirt packaging, second, you save some amount of money because you do not have to buy a new hanger just to hang you newly purchased shirts, and you do not need to borrow your other clothes’ or your sibling’s hanger either. 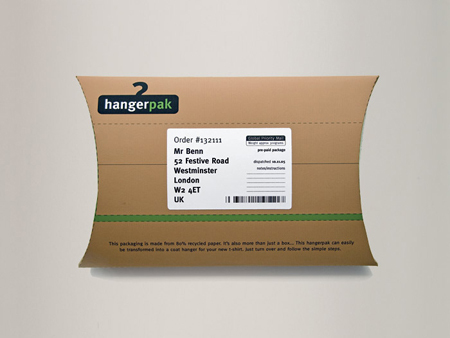 The Hangerpak also is a well-designed packaging material.